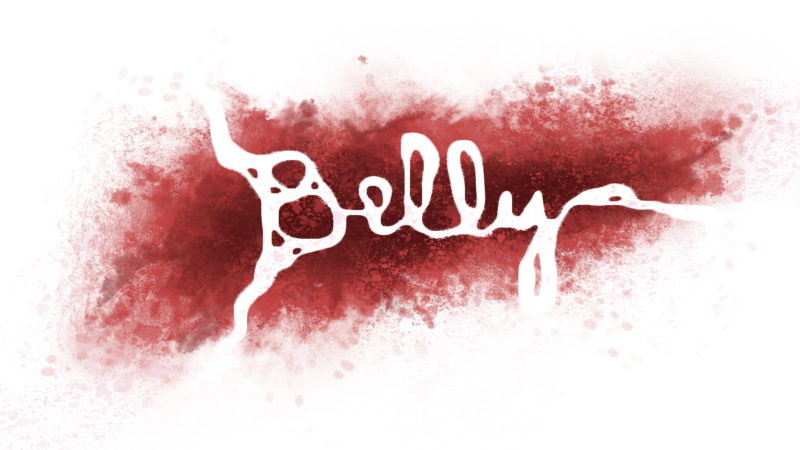 Belly is an organic and dark Shoot Them Up (SHMUP) experience with a complex audio identity. 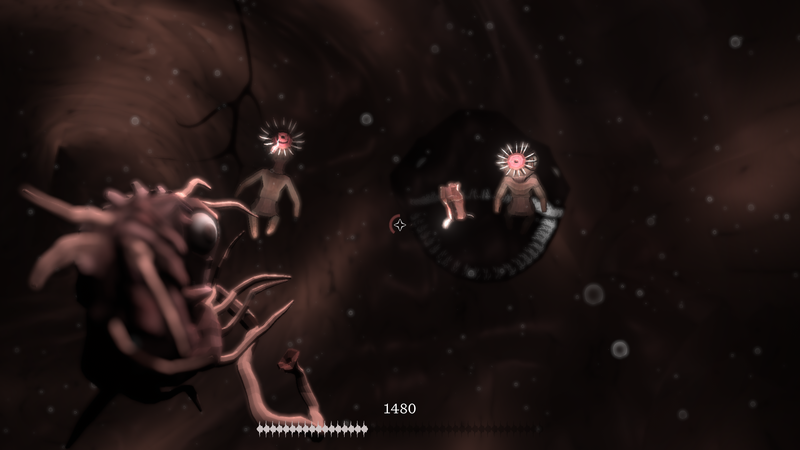 You control a creature in gestation who faces several waves of monsters. Be ready to survive as long as you can ! We made this game in 6 weeks at the ENJMIN. Our team is composed of 9 students. All sounds, assets and textures were student made. Thank you for your video ScottishGeekPlays :) ! Got a chance to play this for my Indie Game Showcase. Really loved the whole atmosphere of the game. Hope to see more work from you in the feature. Good video ! Thank you :) ! Love the game! Make more. Thanks! It's not easy and you have shoot Fast!! Thank you for your video, always a pleasure to see some Belly's experiences :-)! I was able to launch it ONCE, the config came up, then it crashed. Never again I was able to even launch it. Mind blowing I love it!! I hope you guys enjoy it too!! If you guys like what I do subscribe really appreciated all the support thanks!! Thank you for your YouTube video Vampirschi Gaming! Good video, don't hesitate to try again! Survive as long as you can in Belly! SO I've played this game before and it was amazingly awesome ! but then I decided to make a classic mortal kombat edit for it ! Was it a wise choice ?!! This really is a shooter game game with a difference! Learn as you go, and survive as long as you can! "Birth Challenge" is definitely a nice name for Belly's experience! Very strange game but I really appreciate the uniqueness of the game! The team is really glad when players enjoy the uniqueness of the game because that was the vision of the game that we had of it since the beginning of the project. We wanted something really different of what you could expect of a SHMUP and your comment is a kind of proof that we managed to do that successfully, Thanks. We appreciate the video you did on Belly, to answer your question about why we didn't materialize the monster in the background is that we had somes rules to respect, like you can see it is a SHMUP experience which is a gender of game that rely a lot on the Highscore. 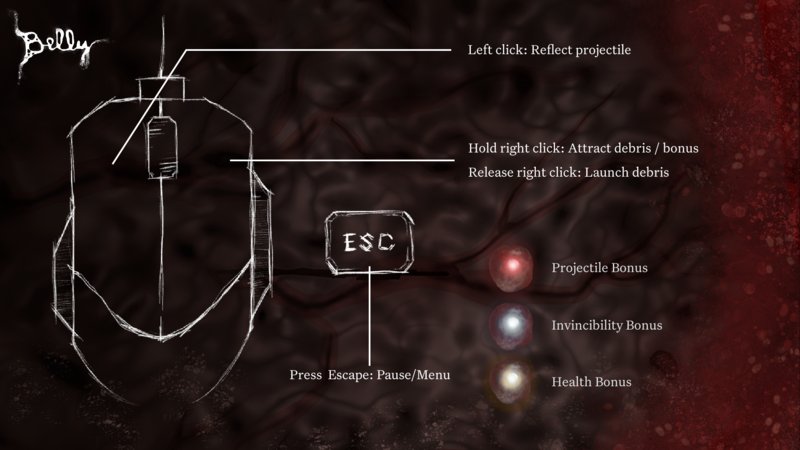 Therefore we decided to create an endless game in which you can always score points as long as you stay alive. Having a boss here would put an end to the game which would lead to a restriction of what score you could do at maximum. maybe if you put a boss every 10 or so waves, not as a finisher wave, but like a bonus wave, y'know? Thank you SOLAR WOLF ! Thank you for your video flxp :) ! Always a pleasure to watch new Belly's experiences ! 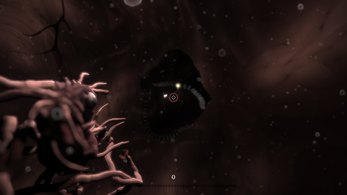 It seems you had fun playing our game, we're glad of that, thanks for your video. no problem, it was a fun new experience to play! I've send you an email last week. I'm waiting for your answer ! Love the different types of monsters. I had fun! We are glad you liked our game ! Very creative game and cool concept. I really enjoyed playing it! This was one of the most creative and strange games I have ever played. I was both fascinated and creeped out the whole time. Belly's gameplay for some reason reminds me of older retro defense shooter style games like Galaga. Which is not to say the game feels old. 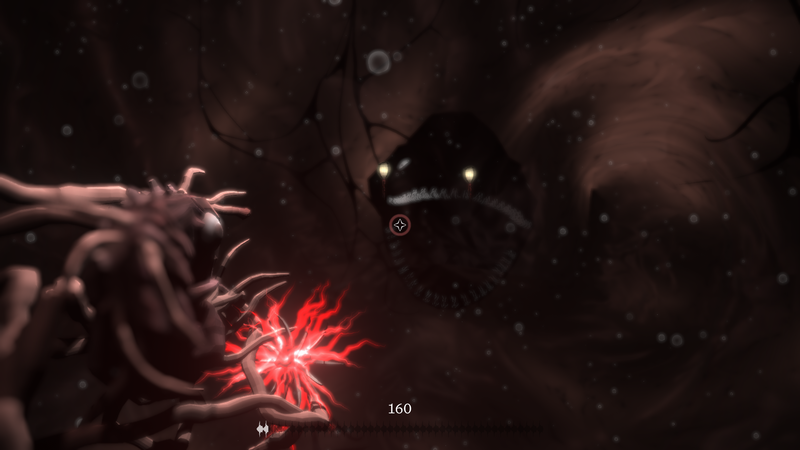 The visuals and experience I think truly capture what it would be like to be in a creatures stomach. I hope that the developers take the creativity used to develop this game into all their future projects! If you want to see what my experience was like you can check out my lets play below. We appreciate a lot your feedbacks and feels about our game. We will definitlvy put as much heart in our next project as we did for this one if it's not even more. Our next project will be released around June so if you really liked this one you can follow each member of the team on Itchio, we don't know yet the composition of the next teams but this team probably won't be together for the next project, at least not in the whole. Thanks ! Will do! I look forward to seeing what everyone involved does going forward! Your game starts at 6:23! Thanks for the feedback, we are happy that you appraciated it. If you don't want to miss our next project that will be release in June, you can follow each member of the team (we probably won't work on the same project). Omg I really Loved this game !! I didn't know what to expect at first but I was pleasantly surprised ! We are really glad you had a great time playing Belly. Thanks for the feedback and the video ! What are the Requirements for your Computer? You don't need a powerful computer. If it doesn't work well, just choose "low" graphic setting. A laptop plugged into a mains is the best option. The game was alright, but could use a few fixes, the enemies after the first few waves bombard you and it's hard to fight them back, neat game but needs a little work. This was the last game I played in this video. Thanks for your feedbacks, we're already aware of them because we made this game in a short amount of time and we won't change anything since this project is over now. We're going to move on a new project pretty soon at ENJMIN. You can count on us to do better games in the future. Yes Belly is quite difficult, but keep going ! I'm sure you can destroy this leaderboard :) ! Hello Neco The Sergal :) ! Thank you for your video, it's always a pleasure to watch players experiences. Your in-game reactions are linked to our intention, that's cool. It was a 6 weeks student project and we love our game, we are thinking on how we can improve our "Belly". Really enjoyed my time with this game. Great job devs. Thank you for your video Jordanthompson. Your theory of "Reflect Them Up" is very interesting :) ! Thanks for your let's play! Good playthrough GrittGaming, thank you :) ! More you play, higher your score is... I'm sure you've got the skills to do better than 2220 ! Seriously, thank you for your video it means a lot to us !